White people only accounted for a little less than 64 percent of the U.S. population in 2010, according to the U.S. Census Bureau. So how do you explain this chart? 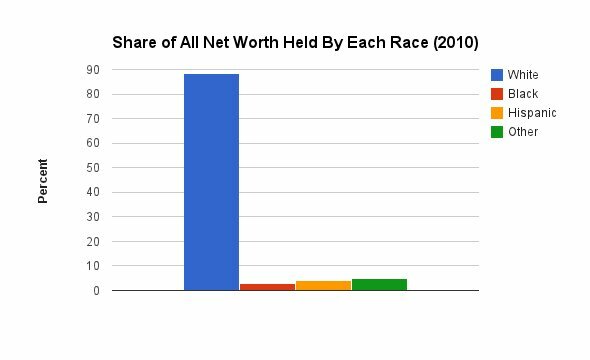 The above chart, which was created by Matt Bruenig of Demos using 2010 data, breaks down wealth in the U.S. by race. As you’ll notice, while white Americans make up only 64 percent of the country’s population, they lay claim to more than 88 percent of its wealth. This racial divide is costing all of us. According to a recent report by the Altarum Institute, closing the earnings gap would cause total U.S. earnings to rise by nearly $1 trillion, or 12 percent. 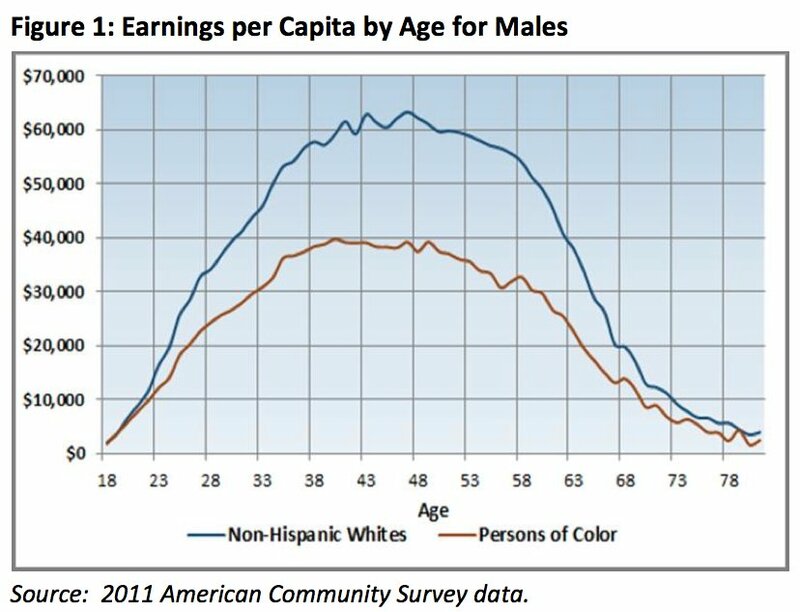 "The Great Gatsby Curve shows that children born in countries with high levels of income inequality will experience less economic mobility on average than children born in more equal countries," the <a href="http://www.americanprogress.org/issues/economy/news/2012/12/05/46817/5-charts-that-show-how-increasing-income-inequality-leads-to-less-opportunity/">Center for American Progress</a> reports.